Symptoms include upset stomach, vomiting and diarrhoea. Affected communities: Detroit, Gates, Jefferson, Lyons, Mehama, Mill City, Salem, Stayton, Turner. Salem-Keizer Public Schools will offer bottled water for students who are pre-K through first grade, district officials said Tuesday afternoon. This water will also be given to students who are medically fragile and students and staff who are nursing or pregnant. Salem-Keizer officials said they will adjust how school meals are prepared until the water no longer poses a threat. Students are still able to wash their hands, as long as the water is not blue or green, said Lillian Govus, a spokeswoman for the district. Govus said the district has already secured 100,000 water bottles and will deliver them to schools Tuesday night. They will try to obtain more. They will start by delivering to elementary schools, then middle and high schools for self-contained classrooms with medically fragile students, the teen-parent program, and so forth, she said. Affected communities: Detroit, Gates, Jefferson, Lyons, Mehama, Mill City, Salem, Stayton, Turner. By Tuesday evening, grocery stores across Salem were already reporting a growing shortage of bottled water following reports of the fouled water supply. The toxins originated with algae blooms first detected last week in Detroit Lake. That water continues down the North Santiam River, which becomes the Santiam Canyon and City of Salem's drinking water source. There are about 185,000 people who live in the cities that draw their municipal drinking water from the North Santiam River, not including farms in rural communities that draw water from the river. Salem's drinking water was tested May 23 and 25. Results confirmed the presence of cyanotoxins in the drinking water above acceptable levels for children and those in compromised health. "We've had no reports of health impacts so far," said David Farrer, with the Oregon Health Authority. "In the latest tests, the concentrations have been below the threshold for adults, but above the threshold for younger kids. "The way the symptoms develop, it would be pretty similar to a stomach bug or food poisoning. It would include a lot of vomiting." A new round of testing has been completed, but test results won't arrive until Thursday, officials said. "There's a chance that we get the results on Thursday and we're all clear," said Greg Walsh, emergency manager for the City of Salem. "But we wanted to be proactive because we're coming up on the 10-day exposure period - if people are exposed to it for 10 days that's when the probability of health issues increases." Algae blooms in Detroit Lake are common in the late spring and early summer. 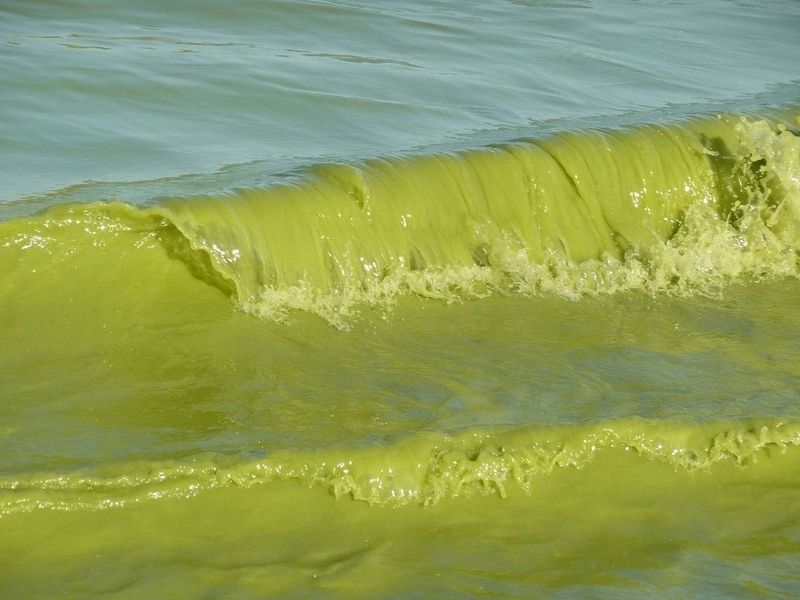 But the algae blooms observed this year appear to be more widespread and potent. Three toxic blooms were identified in locations around Detroit Lake on May 23 and 25 - at Blowout Arm, Heater Creek Arm and near the dam. A liver toxin called "microcystin" was tested at 48.21 parts per billion in that location. A health advisory is triggered when levels are 4 parts per billion. Levels were lower, but still highly elevated, on May 25. Downstream, in the North Santiam River, tests also revealed elevated levels of toxins. Tests on May 23 showed the toxin cylindrospermopsin at 6.9 parts per billion - above the safe threshold even for adults. By the May 25 test, levels had dropped to 1.9 parts per billion for cylindrospermopsin - safe for adults but not for small children. Those levels would have been lower by the time it reached people's taps in Salem, but it was high enough to raise concerns, Farrer said. "Historically, Detroit Lake is one of the earlier bloomers when it comes to algae, compared to other reservoirs," she said. "It could very well have something to do with the rivers bringing a lot of nutrients into the lake at once." Drinking water containing cyanotoxins at levels exceeding the national drinking water Health Advisories can put people at risk of various adverse health effects including upset stomach, vomiting and diarrhoea, as well as liver and kidney damage, according to the advisory.